There are a number of control panel manufacturers scattered across the globe. Some offer panels for new compression, some for retrofit. Few are capable of delivering premium custom control panels built around both purpose-built, proprietary control products as well as PLC-based systems. Even fewer possess the engineering design expertise and global distribution network necessary to effectively meet the needs of both kinds of customers. Altronic is uniquely positioned to deliver control panel solutions for both packager and end-user customers, and to do so using proprietary controls, PLC-based products, or a combination of the two. Truly a single-source provider, Altronic will always meet or exceed your exacting requirements and expectations, regardless of horsepower, location, or application. A product is only as good as the support behind it. Altronic control panels are supported globally by an experienced team of authorized aftermarket distributors and factory managers. 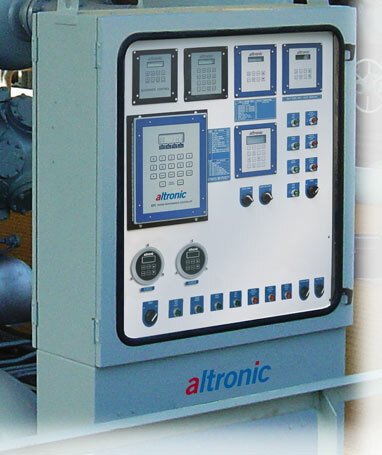 Contact Altronic to find out what the premiere provider of custom gas compressor control panel solutions can do for you.